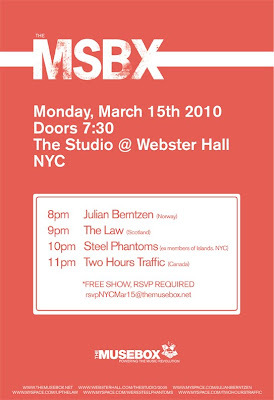 Monday, March 15, The MuseBox is hosting a pre-SXSW showcase at The Studio at Webster Hall. It's FREE! What are you waiting for? RSVP and go enjoy some music before heading down to Austin!